AUGUSTA, Maine - The Maine bear hunt's getting started with the part of the season in which it's legal to lure bears with doughnuts and other bait foods. AUGUSTA, Maine - Wildlife biologists say they expect bear hunters to have more success in the hunting season that begins in a few days because of poor availability of natural foods. PORTLAND, Maine - The black bear population in northern New England is growing, and wildlife managers say this year's hunt for the animals is especially important to control it. The growing bear population has caused some confrontations between people and bears, especially during dry summers like this one. Dry weather prompts bears to search bird feeders and garbage cans for food. AUGUSTA, Maine - Maine's annual season for hunting black bears is beginning with hunters heading to the woods to check sites baited for bruins. The bear season begins on Monday and lasts until Nov. 28. Hunters are allowed to hunt with bait from Monday until Sept. 26. Hunting with bait is by far the most common method of hunting bears in Maine. This bear season is the first since voters defeated a push a drive to make it illegal to hunt bears with bait, dogs and traps. A referendum about the proposed change failed at the polls in November of last year. AUGUSTA, Maine - Maine is holding a bear hunting day for young hunters for the first time as its annual season for the elusive animals draws near. The youth bear hunt will be Saturday, two days before the general hunting season for bears begins. Youth hunters who have a junior hunting license can hunt bears with a firearm, bow or crossbow on Saturday. The young hunters are also permitted to lay bait. 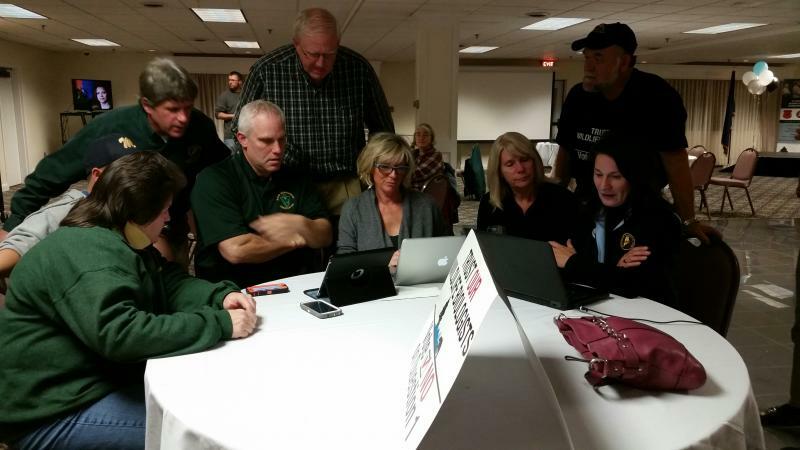 PORTLAND, Maine - There's a final conclusion to a case brought by the Humane Society of the United States against the Maine Department of Inland Fisheries and Wildlife over the 2014 bear hunting referendum. The animal rights group had sought an injunction in the lead-up to the ballot question, which asked if voters wanted to ban the baiting, hounding, and trapping of bears, saying the state department had overstepped its bounds when its biologists appeared in uniform urging Mainers to vote against the initiative. AUGUSTA, Maine - Political groups that get help from Maine state employees during a campaign would have to disclose the value of that contribution, under a bill supported by the state Ethics Commission. The commission's executive director, Jonathan Wayne, says the panel voted 4-1 Monday to advocate for the change in the upcoming legislative session. For the second time in ten years, it appears Maine voters have rejected a referendum that would have prohibited the use of bait, hounds and traps in Maine's annual bear hunt. The campaign was divisive, emotional and involved vast amounts of money, more than double what was spent the last time around. And crucial to opponents' victory was the involvement of wildlife biologists at the Department of Inland Fisheries and Wildlife. PORTLAND, Maine - Opponents of a ballot initiative to ban the hunting of bears with bait, dogs and traps are declaring victory in Maine. But supporters of the ban say the referendum is too close to concede. Animal rights advocates and others collected signatures to force a statewide vote Tuesday on the proposal, which they said would have eliminated cruel hunting practices. Hunting groups, outfitters and the state Department of Inland Fisheries & Wildlife campaigned hard against the referendum. 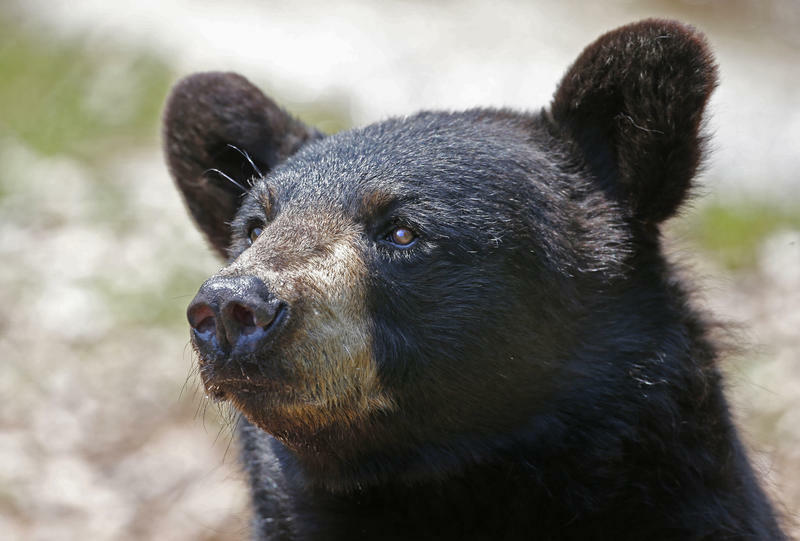 PORTLAND, Maine - Maine's bear hunt would change dramatically if voters approve an initiative that would ban sportsmen from hunting the animals with the use of bait, dogs and traps. A fierce debate on the three hunting methods has raged in the state for months, frequently pitting hunters against animal rights advocates. Residents vote Tuesday on a statewide ballot initiative concerning the hunting methods. Hunting without the methods would remain legal if the measure passes. Supporters of the bear hunting measure on the Maine ballot have filed a complaint with the Maine ethics commission alleging that the group leading the opposition to the proposal failed to disclose campaign contributions from the Maine Department of Inland Fisheries and Wildlife.